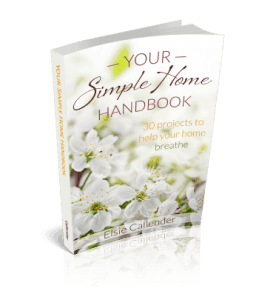 Welcome to the Affiliate Center for Your Simple Home Handbook! Join our affiliate program and start earning money for every sale you send our way! Simply create your account and place your linking code on your website or share it on social media. Payments will be made via Paypal at the beginning of each month! 1. Visitor clicks on an affiliate link on your site, in an email, or on social media. 4. If the visitor orders (the order does not need to be placed during the same browser session – cookies and IPs are stored up to 60 days), the order will be registered as a sale for you and you will receive 40% commission.